Sam COOKE The Wonderful World Of Sam Cooke (reissue) vinyl at Juno Records. 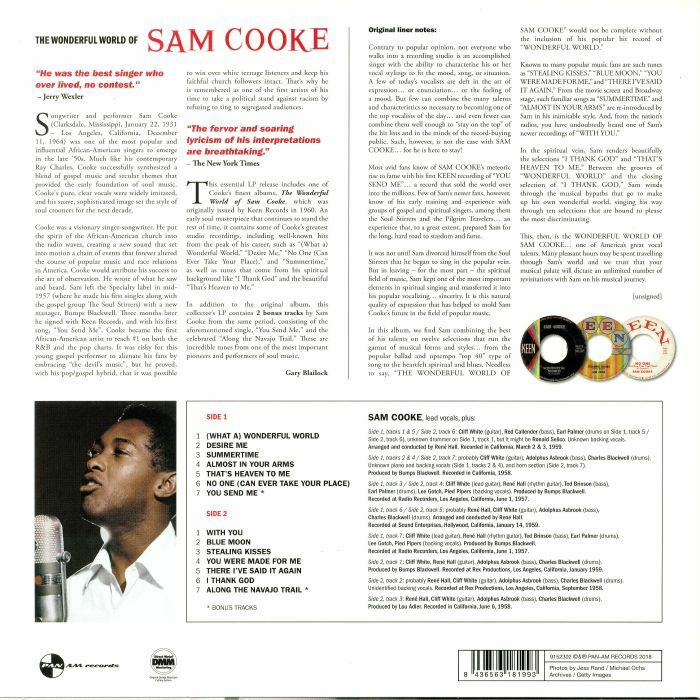 An essential LP reissue of one of American singer Sam Cooke's best albums. 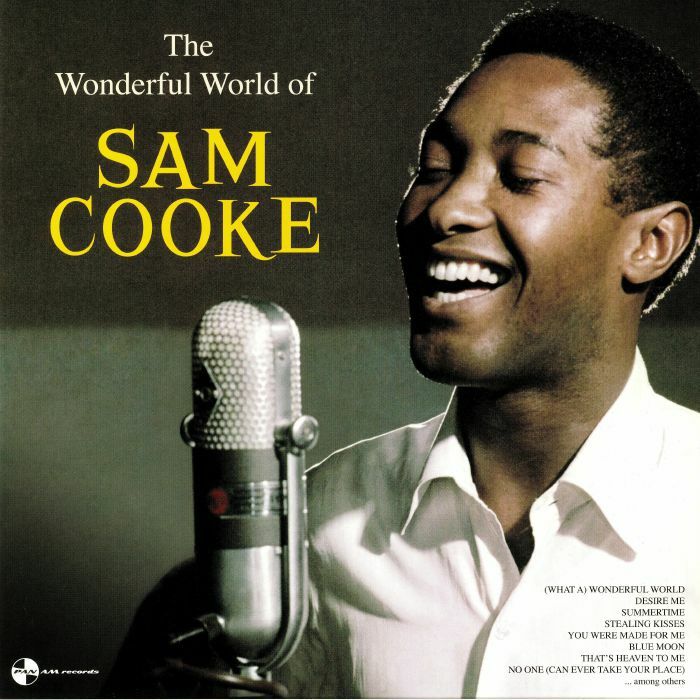 'The Wonderful World of Sam Cooke' was originally released by Keen Records in 1960 and is an early soul masterpiece featuring some of Cooke's biggest studio recordings. It includes well-known hits and highlights of his career, such as "(What A) Wonderful World", "Desire Me", "No One (Can Ever Take Your Place)," and "Summertime" as well as pieces from his spiritual background like "I Thank God" and the beautiful "That's Heaven to Me". In addition to the original album, this collectors LP includes two bonus tracks by Cooke from the same period - such as the great "You Send Me" and the equally famous "Along the Navajo Trail". Incredible pieces by one of the most important pioneers and performers of soul music.